A dramatic walk along a narrow coastal path with the sound of the Atlantic rollers breaking on the cliffs. 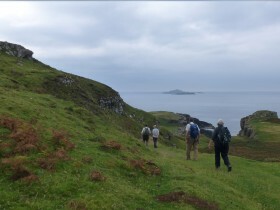 This walk offers unparalleled sea views, cliffs and caves. 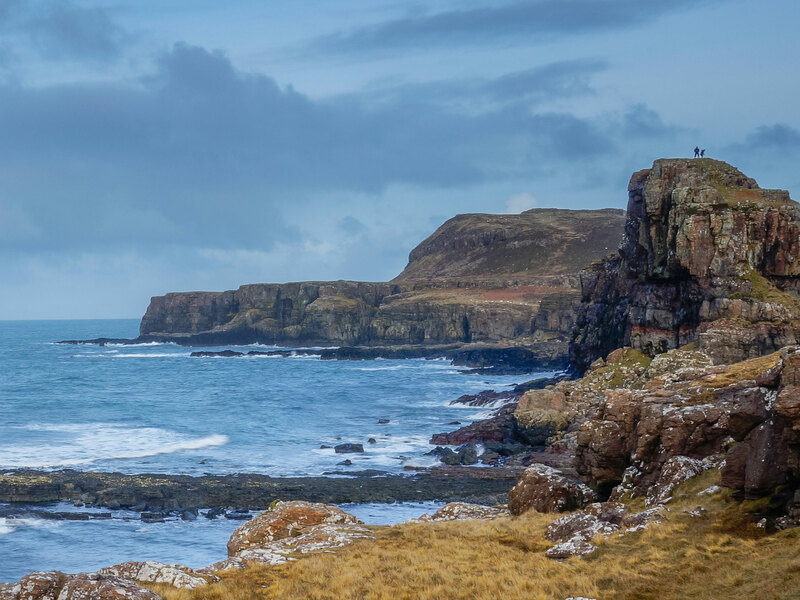 Walk along a raised beach and then scramble down a grassy gully to visit the Whisky Cave, the location of an illicit still, where a turf mound was built along the front of the cave to hide the flame of the furnace from passing boats. An afternoon walk climbs up to the abandoned townships and a moorland walk with stunning views to the Isle of Skye. 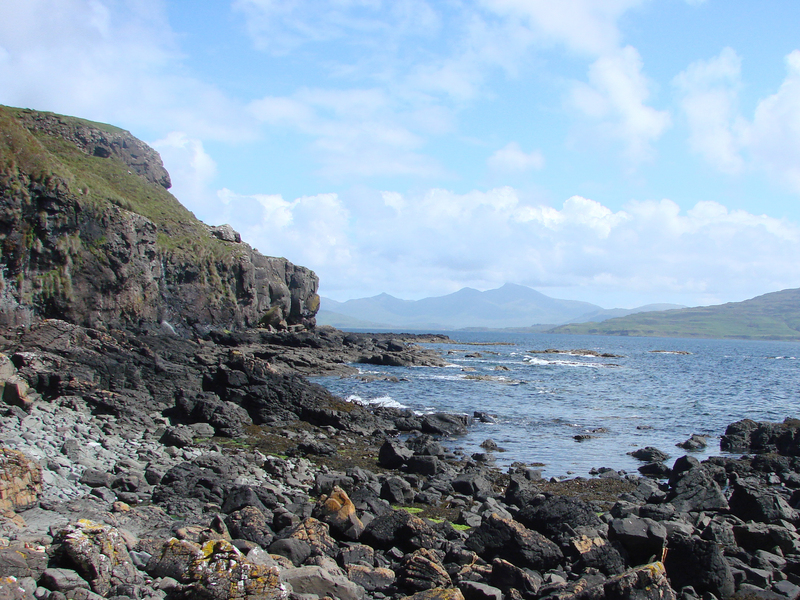 This is wild Mull at its breathtaking best, where Golden Eagles may be seen soaring and Red Deer roam the moorland.